Ruth Reinhardt is quickly establishing herself as one of today’s most dynamic and nuanced young conductors. She served as the Assistant Conductor of the Dallas Symphony Orchestra (DSO) for two seasons under Jaap van Zweden and concluded her tenure at the end of the 2017/2018 season. Having recently made her debut with the Royal Stockholm Philharmonic in summer 2018, this season Ms. Reinhardt will make debuts with the Grosses Orchester Graz and Kristiansand Symphony Orchestra; and in North America with the symphony orchestras of Fort Worth, Omaha, Orlando, Portland, Santa Fe, and Sarasota. Reinhardt will return to the Dallas Symphony three times this season, to conduct a subscription week as well as several concerts in the greater Dallas community and the DSO’s contemporary alternative ReMix series. She will also return to conduct the Cleveland Orchestra, Seattle Symphony, Malmö Symphony, and at the Impuls Festival in Germany. 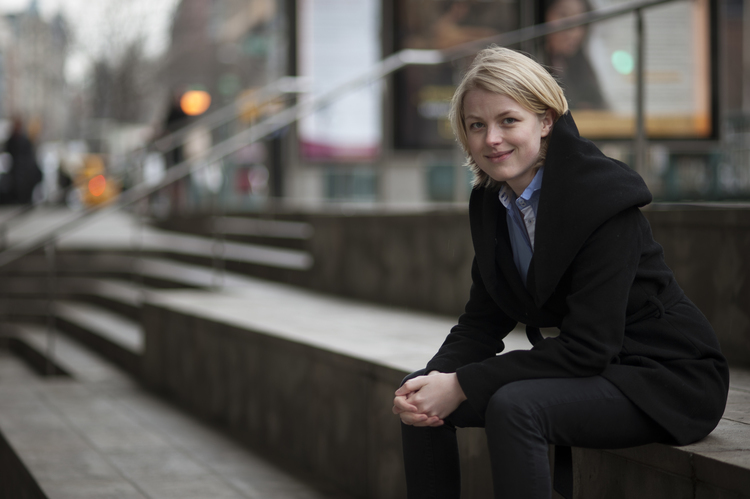 Last season, Reinhardt was selected as a Dudemel Fellow of the Los Angeles Philharmonic, and in summer 2018, she served as the assistant conductor of the Lucerne Festival Academy Orchestra. In addition, she worked with Carnegie Hall’s National Youth Orchestra (NYO-USA), assisting Michael Tilson Thomas. Highlights of her 2017/2018 season included guest engagements with the Indianapolis, San Diego, and North Carolina Symphonies, and the Los Angeles Chamber Orchestra in the Primrose Viola Competition. Ruth Reinhardt received her master’s degree in conducting from The Juilliard School, where she studied with Alan Gilbert. Born in Saarbrücken, Germany, she began studying violin at an early age and sang in the children’s chorus of Saarländisches Staatstheater, Saarbrücken’s opera company. She attended Zurich’s University of the Arts (Zürcher Hochschule der Künste) to study violin with Rudolf Koelman, and began conducting studies with Constantin Trinks, with additional training under Johannes Schlaefli. She has also participated in conducting master classes with, among others, Bernard Haitink, Michael Tilson Thomas, David Zinman, Paavo Järvi, Neeme Järvi, Marin Alsop, and James Ross. Prior to her appointment in Dallas, Ruth was a conducting fellow at the Seattle Symphony (2015-16), Boston Symphony Orchestra’s Tanglewood Music Center (2015), and an associate conducting fellow of the Taki Concordia program (2015-17). During her time at Juilliard, she led the Juilliard Orchestra as well as concerts with New York City’s ÆON Ensemble, with whom she has led a collaboration with the Kronos Quartet. A precocious talent, by age 17 she had already composed and conducted an opera, for and performed by the children and youths of her home town. While studying in Zurich, she also conducted the premieres of two chamber operas for children: Die Kleine Meerjungfrau (The Little Mermaid) by Swiss composer Michal Muggli, and Wassilissa by German composer Dennis Bäsecke. Other opera productions she has conducted include Dvořák’s Rusalka and Weber’s Der Freischütz for the North Czech Opera Company, and Strauss’ Die Fledermaus at the Leipzig University of the Arts.